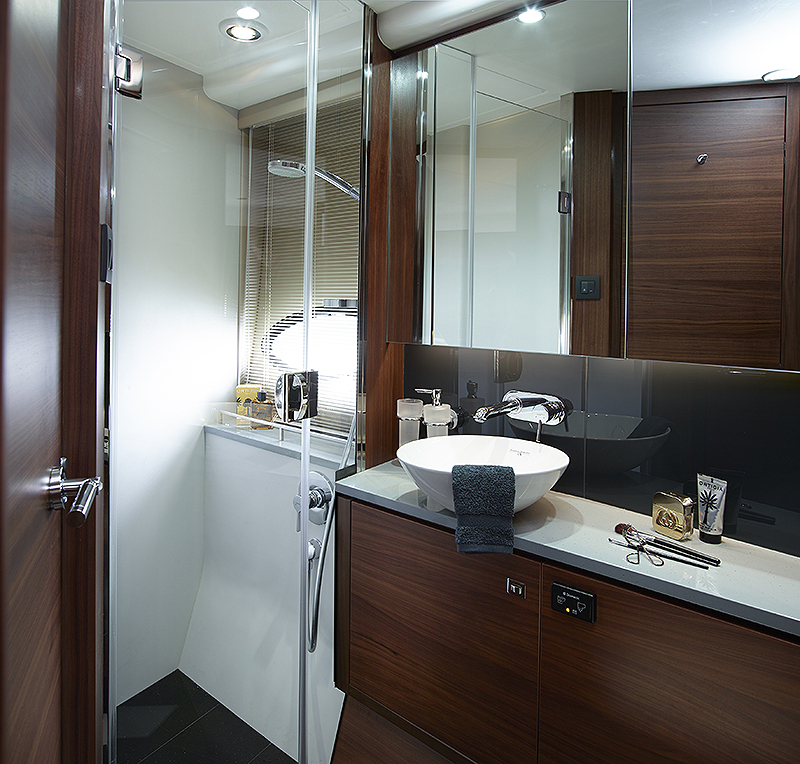 In the saloon, our wraparound windows let in so much light. 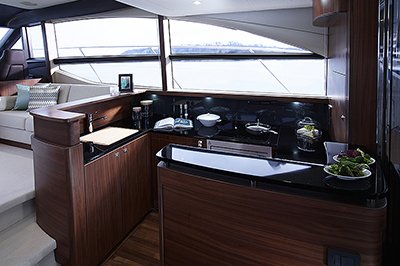 The well-equipped galley is located aft, serving both the saloon and cockpit and resulting in a hugely versatile entertaining space. 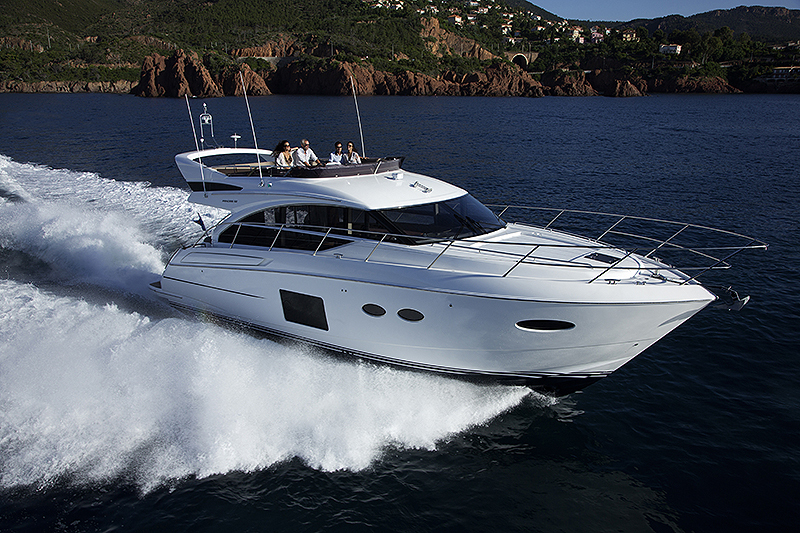 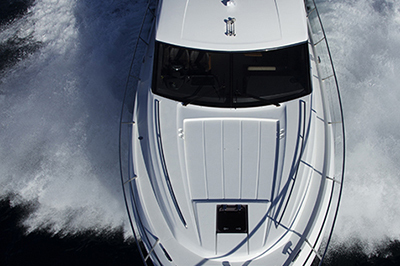 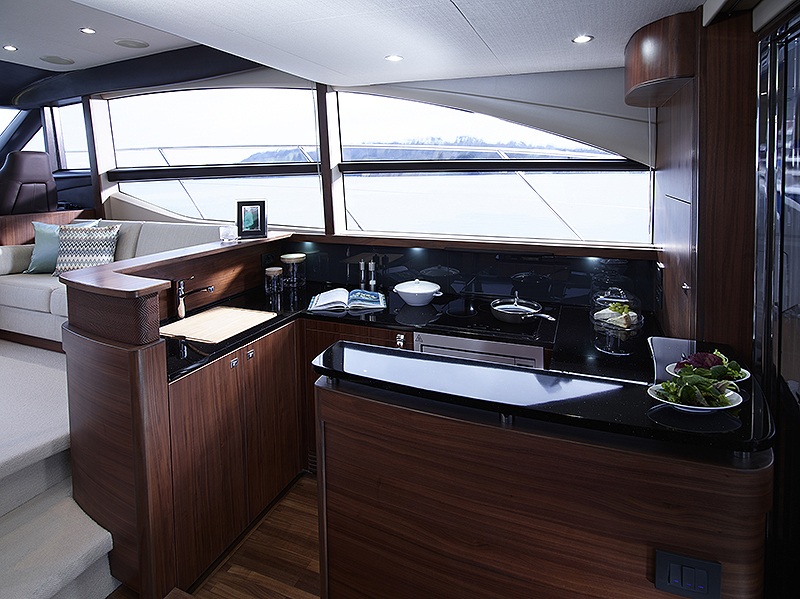 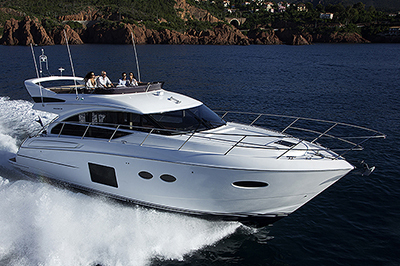 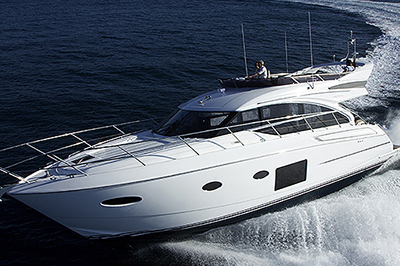 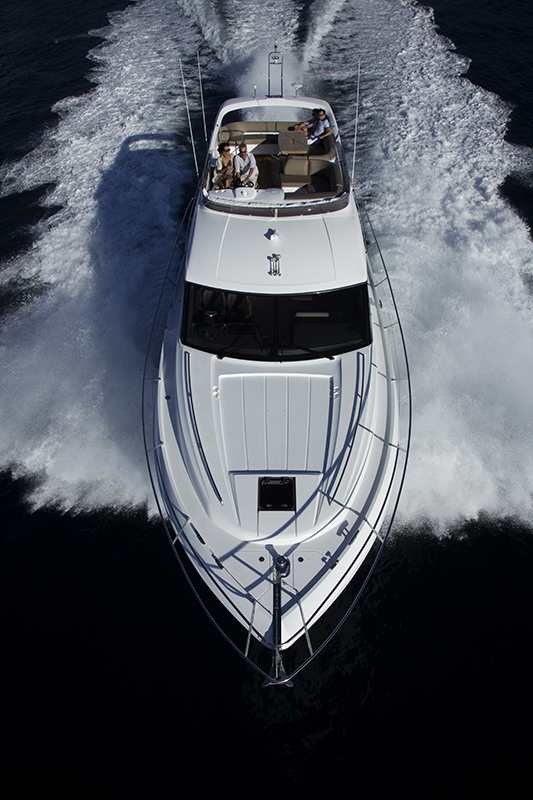 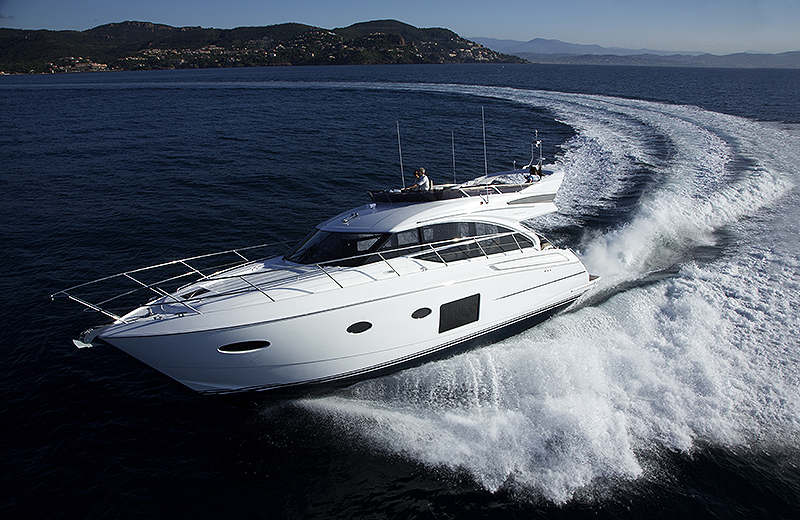 The flybridge extends back over the cockpit and includes a full dining area with a barbecue, fridge and wetbar, while the twinseat helm station provides great visibility. 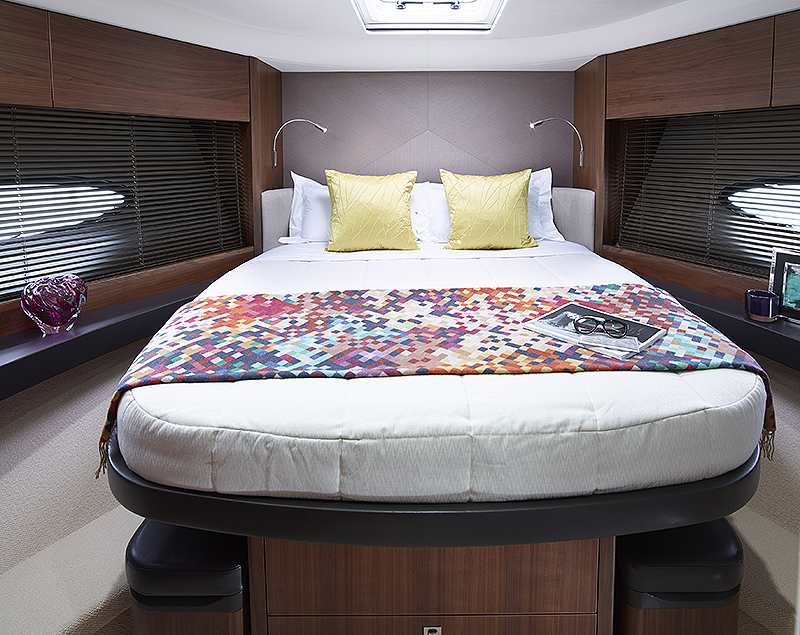 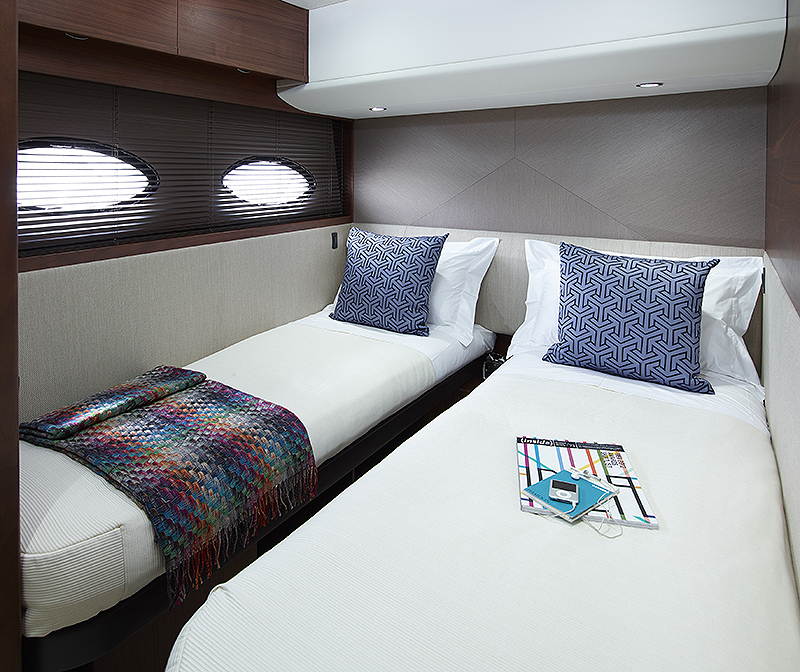 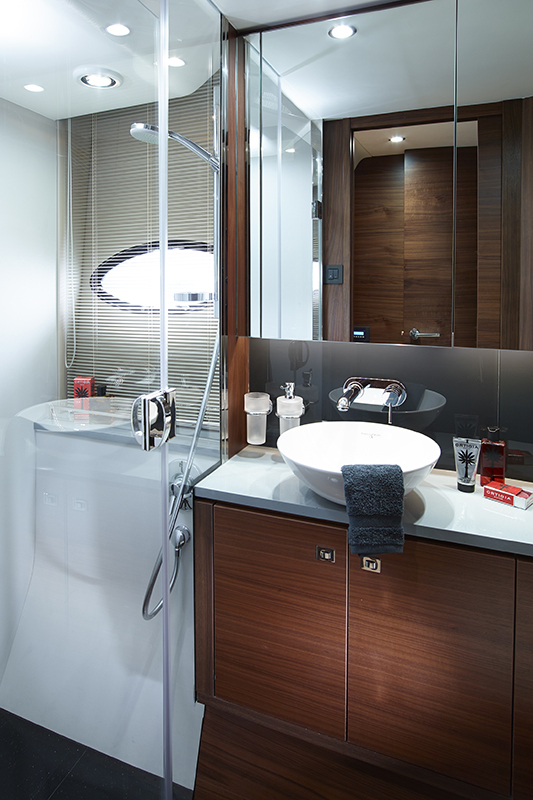 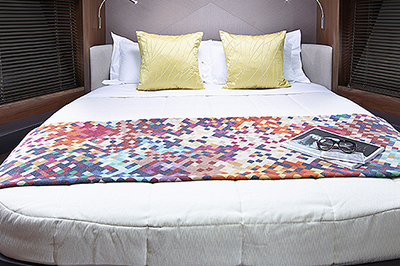 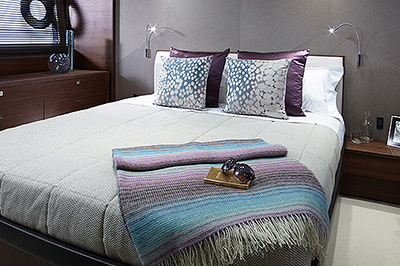 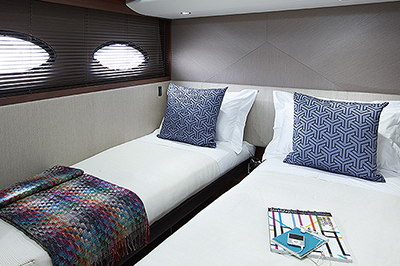 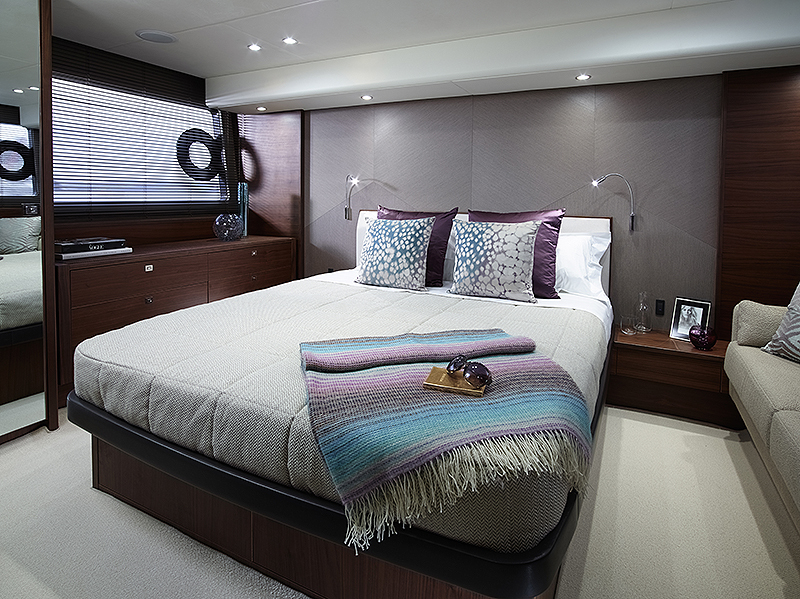 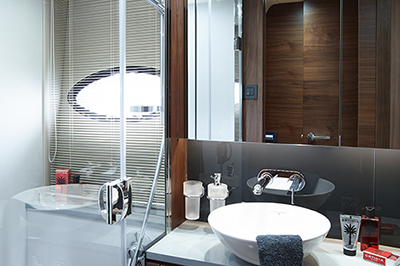 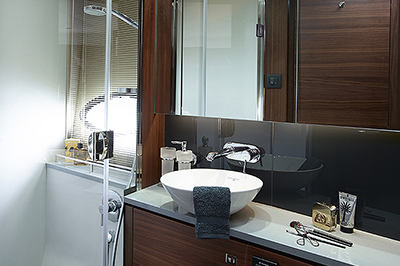 The master stateroom features full headroom around the double berth, a sofa and hullside windows with opening portholes.